Sierra de Armenia is a traditional flamenco song and to be more precise, it belongs to the ”deep singing” tradition (cante jondo) of Andalucia. Within the afforementioned tradition you will find a variety of forms of cante jondo such as the buleria, martinete, alegria, fandango, siguriyia, etc. Sierra de Armenia is a siguriyia, written in three-eight time, and in a minor key. The siguriyia is song of uneasiness, of suffocation, of the last groan, sung to the point of dying and out of breath by a singer, who is alone with her or his fever. 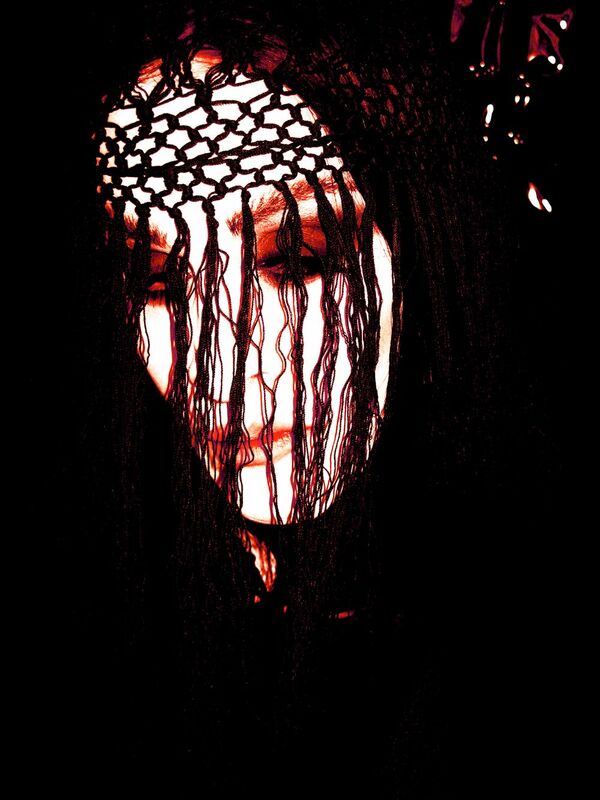 This is the point of departure, as I see it, for the approach by Diamanda Galás and her perception of the cante jondo. The siguriyia is according to the ”Diccionario del Cante Jondo” the most genuine expression of ”deep singing” of the flamenco tradition (el cante de más genuina expresión jonda dentro de todo el flamenco). The intonation of her singing is impregnated with Arabic and gypsy elements (just as in the traditional approach), transported and suspended in the mid-air. Her singing pulls up the very roots of existence, for it takes its source, not in anecdote nor attitude, but from a profound experience at subterranean depths of being. Something that never repeats itself, but that happens anew, recreated at each singing. A nameless beast strikes the breast. Silencío. You are asked to remove your hat. In her throat roars a hurricane of blood and ice. Solemnely she asks neither for joy nor relief, but retreat, imprisoned by five walls of darkness and pain. She makes silence vibrate, trembling, looking for its answer in the beyond. The voice seemingly breaks into a shapeless cry, aimed at infinity beyond the merciless sun in the Syrian desert, one-hundred and one years ago. ”When I do Sierra de Armenia it is an attack by a person who is an outcast everywhere. This person must sleep under brushes and rocks, this person can trust noone. What is curious is that Armenia, of all places, is considered a haven, but the area itself was once inhabited by gypsies, Christian Yezidis, Assyrian Orthodox or Chaldean Catholics, Greek Orthodox, and Muslims, during the time in which those ethnic group lived in peace.The singer is saying that he or she will happy to return to the land of Armenia, where he will be no more molested by Muslims or Christians. I remember singing this in the South of France and hearing hissing from one area of the audience (maybe one or two persons). It is violent, requiring simultaneous great stealth, to step from one dangerous place to the other, in other to reach a desired goal. ¡¡¡QUE LOS PASITOS QUE DABA P'ALANTE SE ME VUELVEN P'ATRÁS!!! ¡¡¡A LA SIERRA DE ARMENIA YO ME QUIERO IR, DONDE NO HAYA MOROS NI CRISTIANOS QUE SEPAN DE MÍ!! !